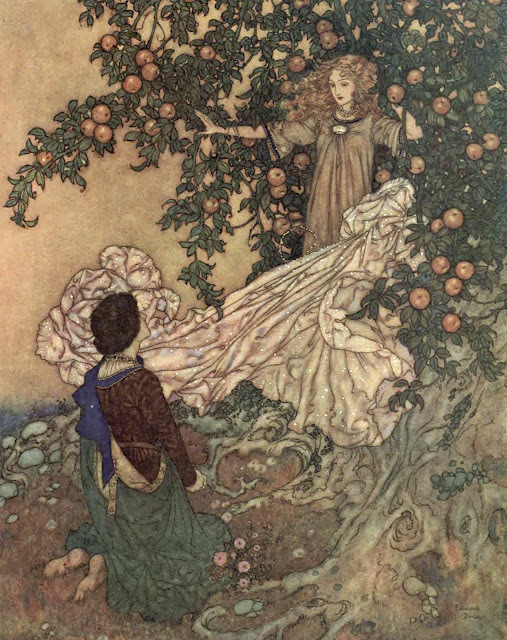 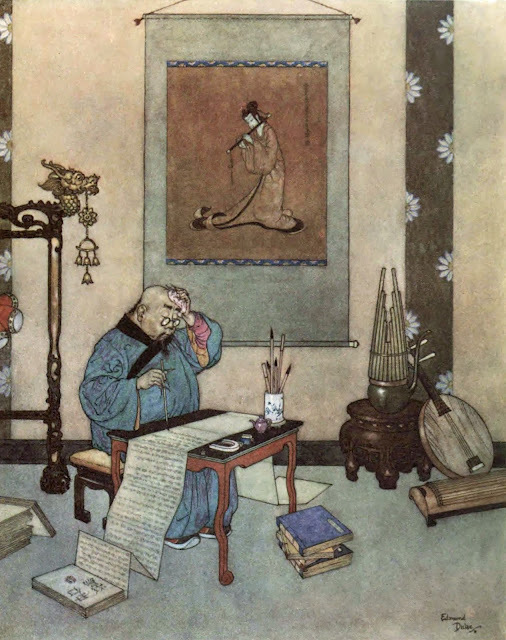 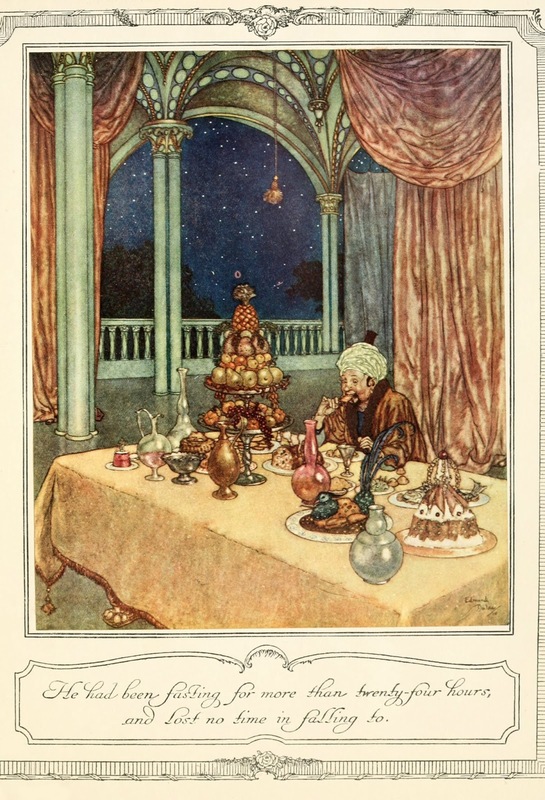 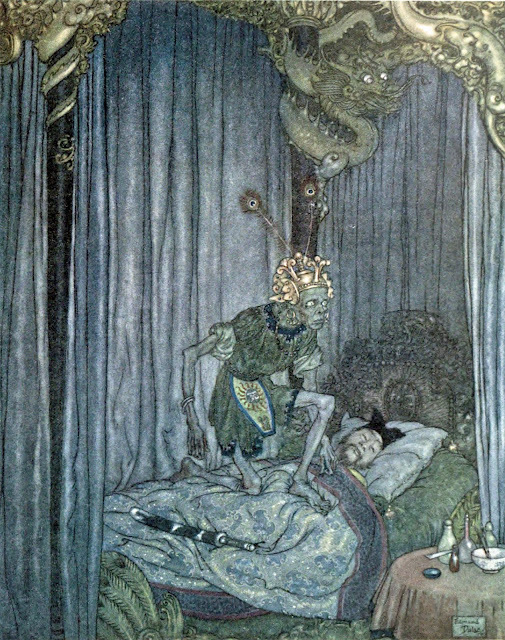 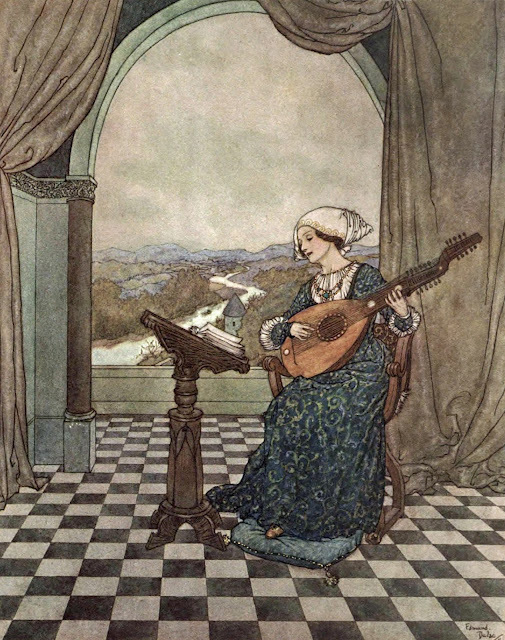 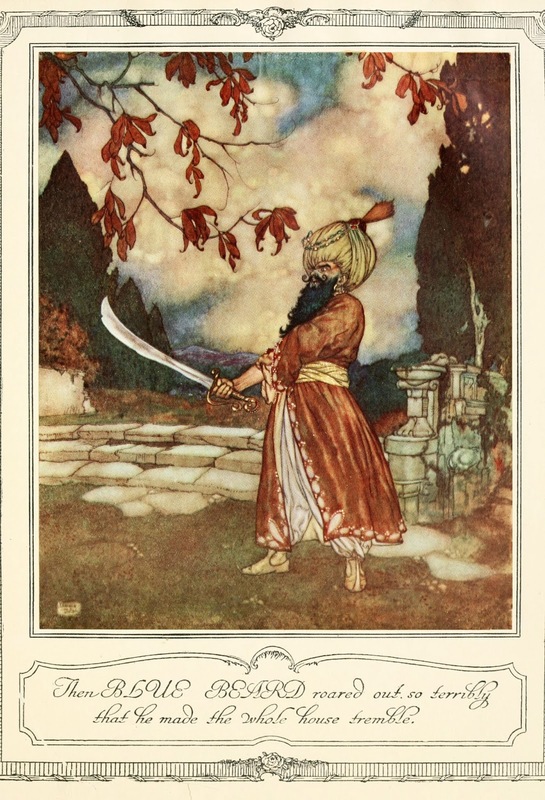 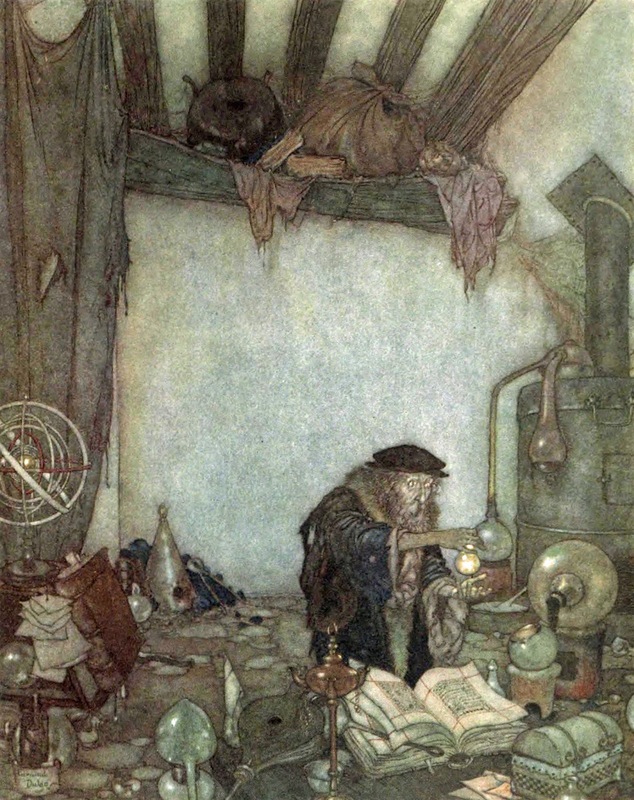 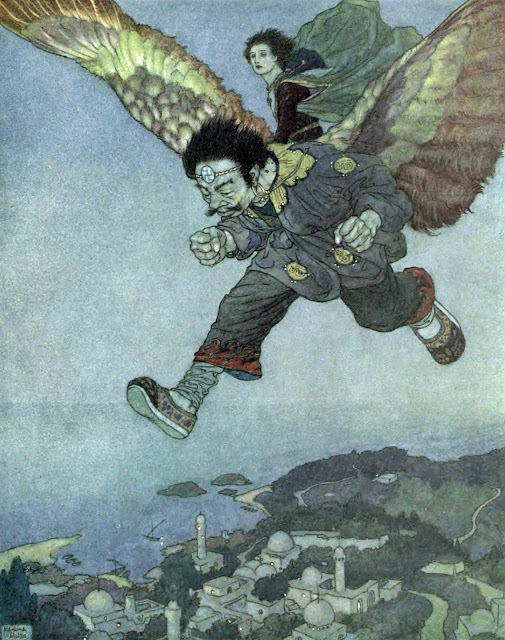 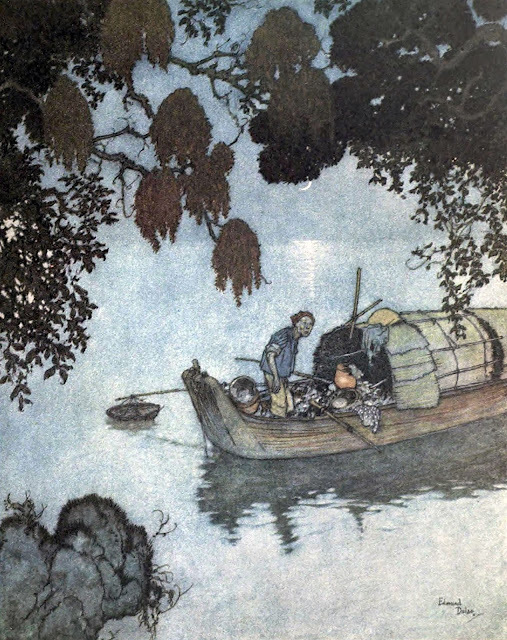 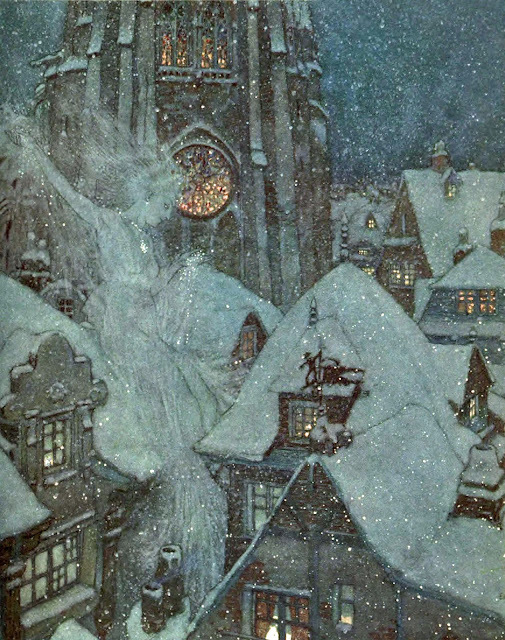 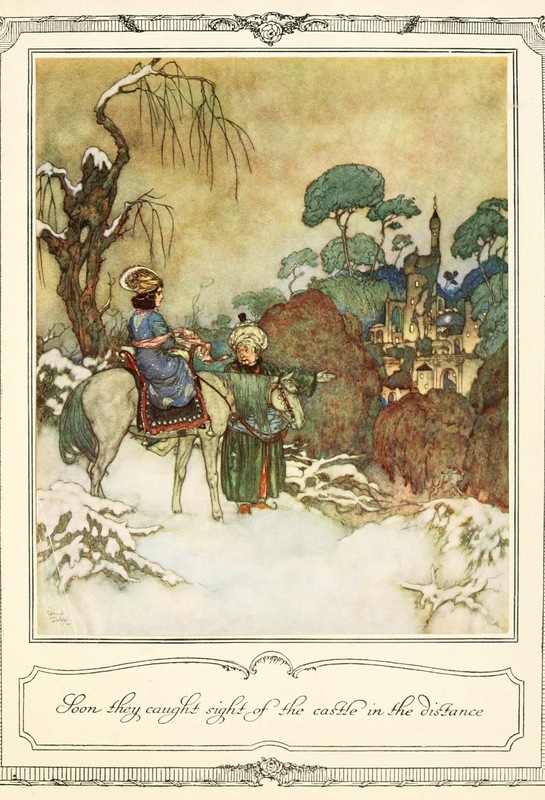 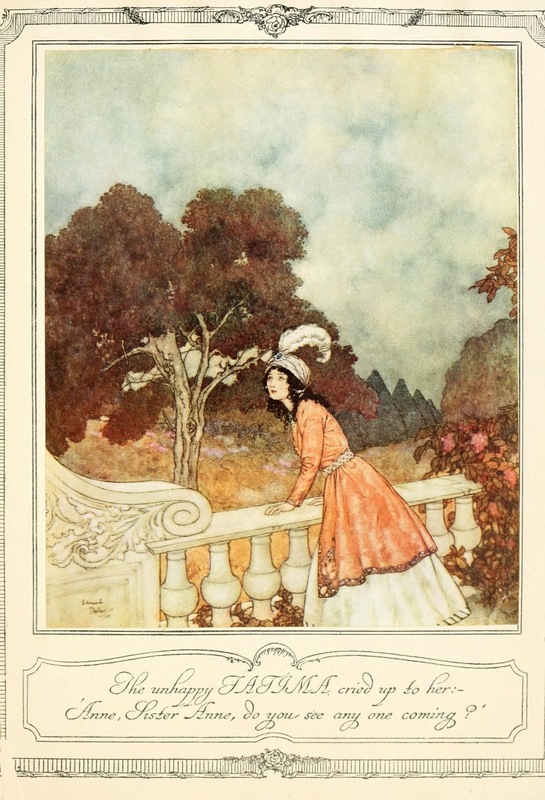 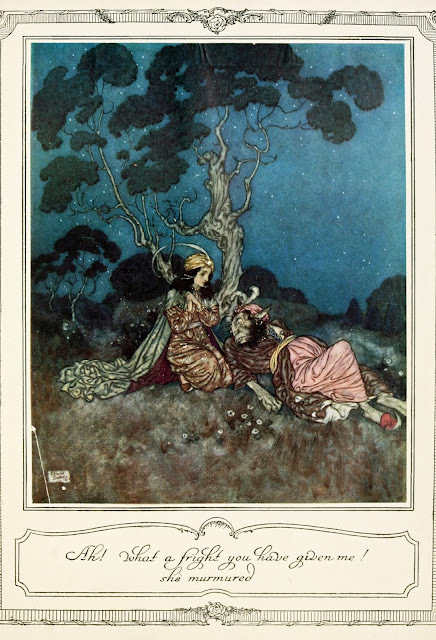 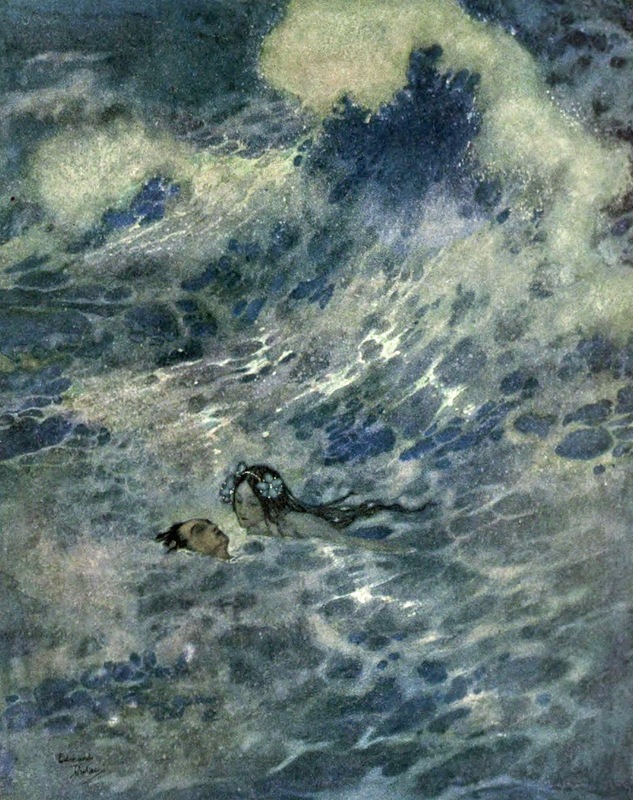 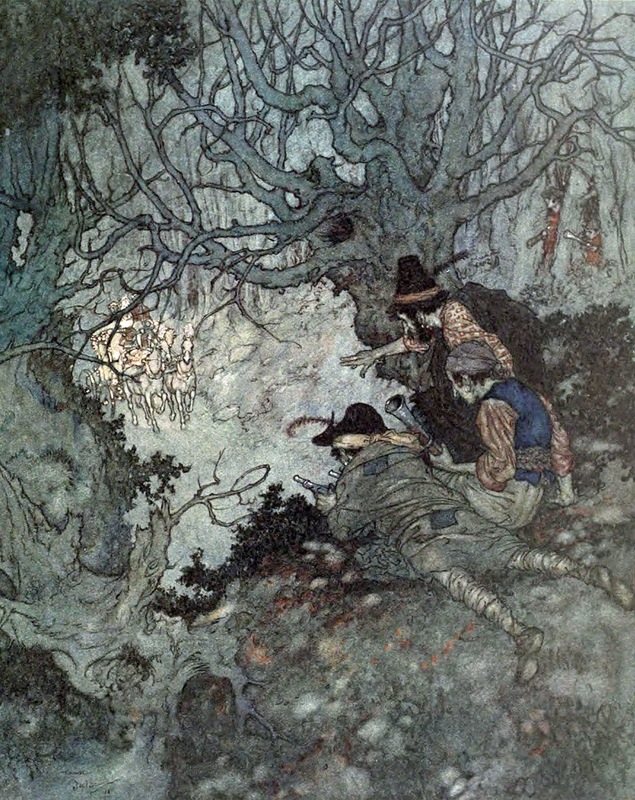 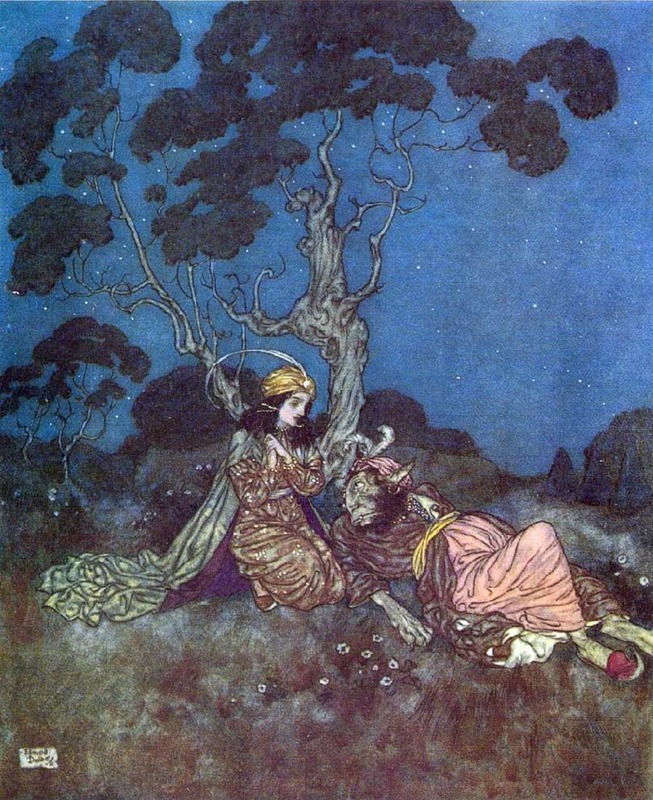 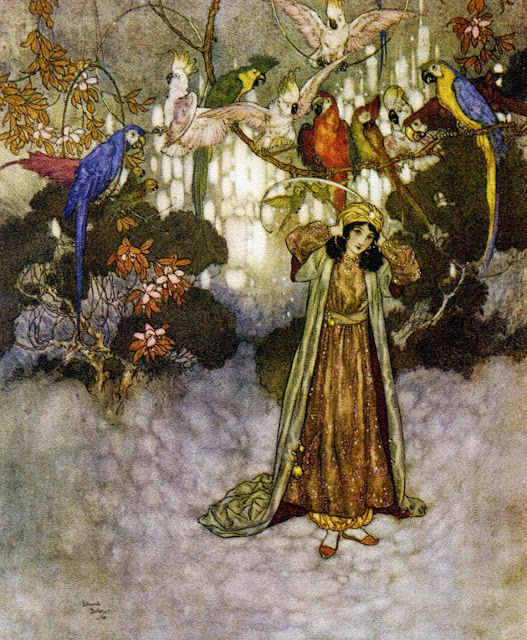 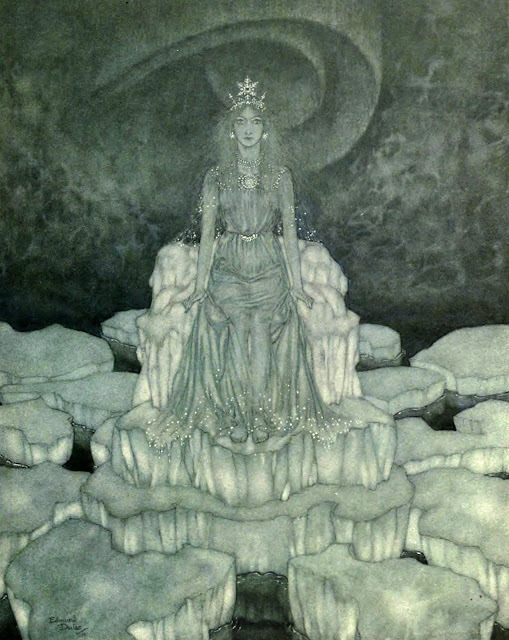 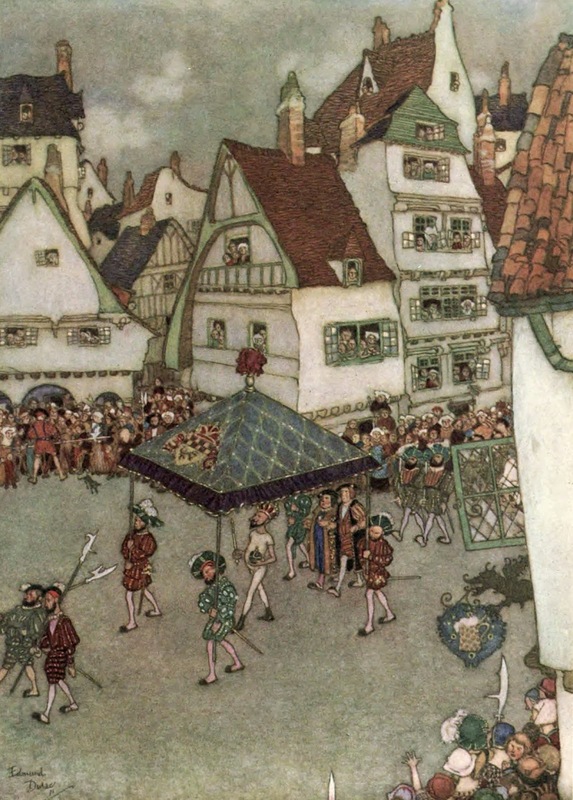 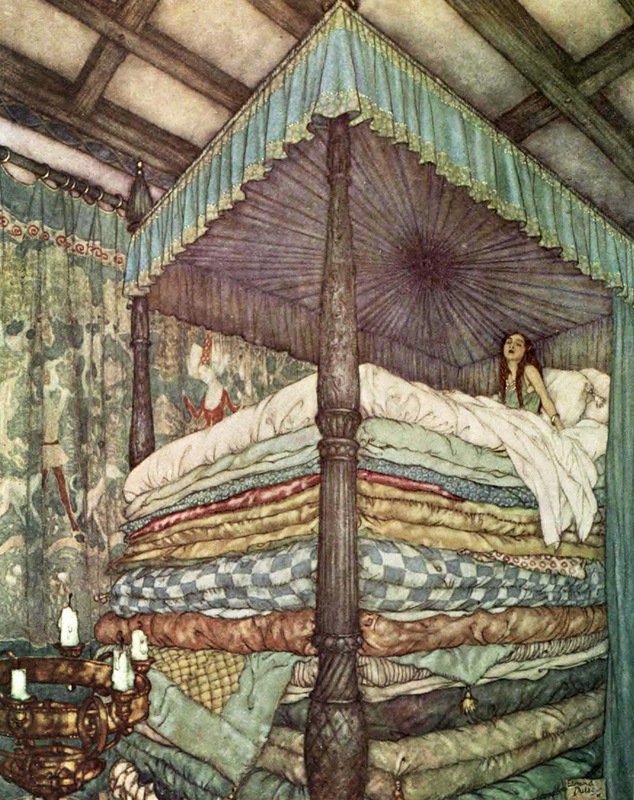 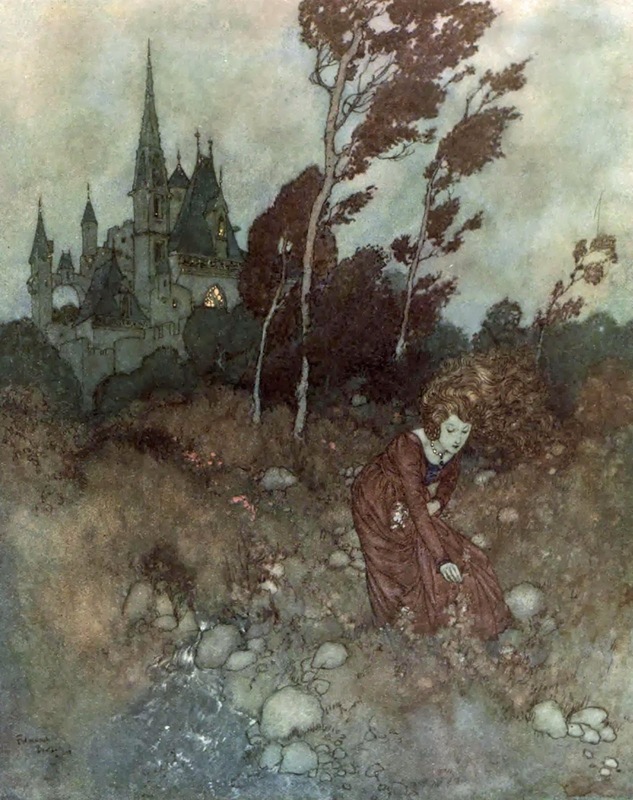 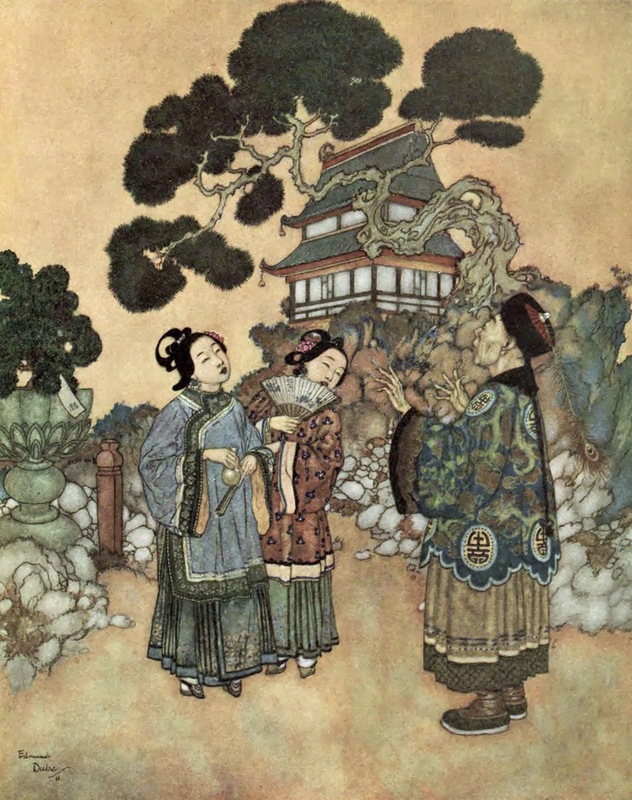 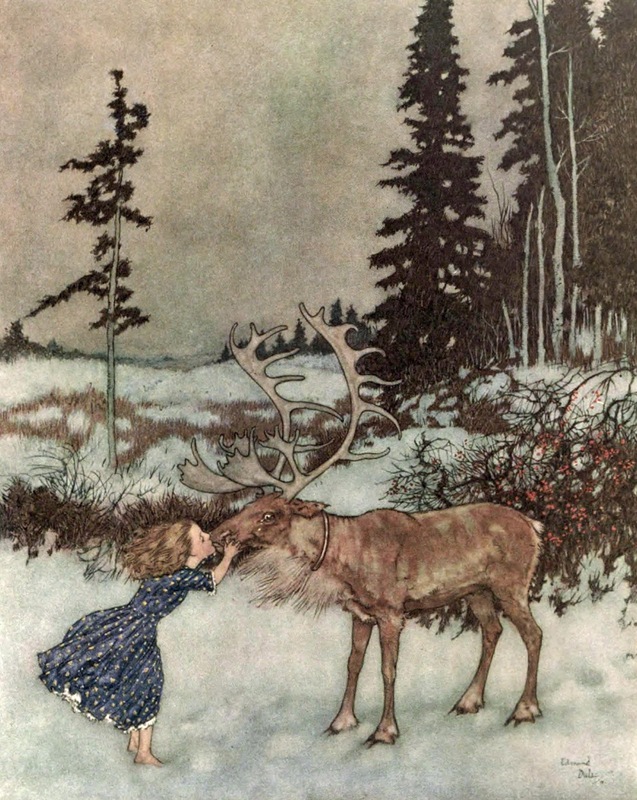 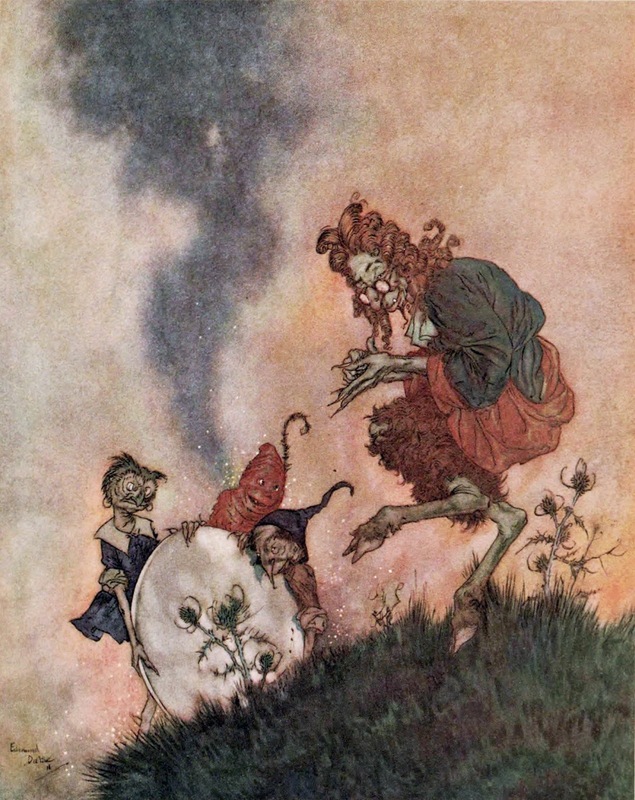 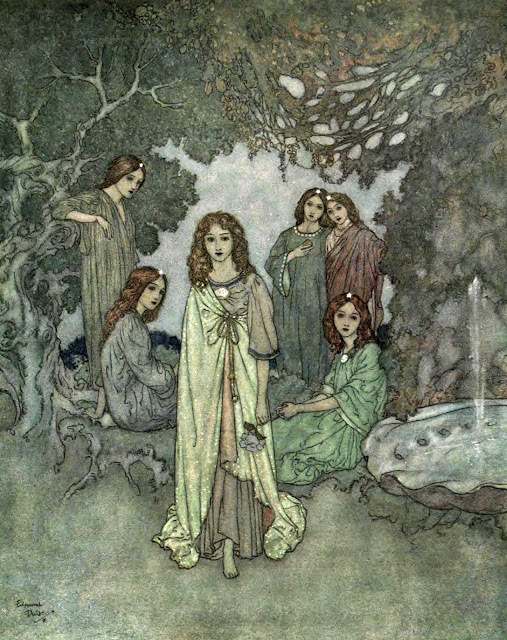 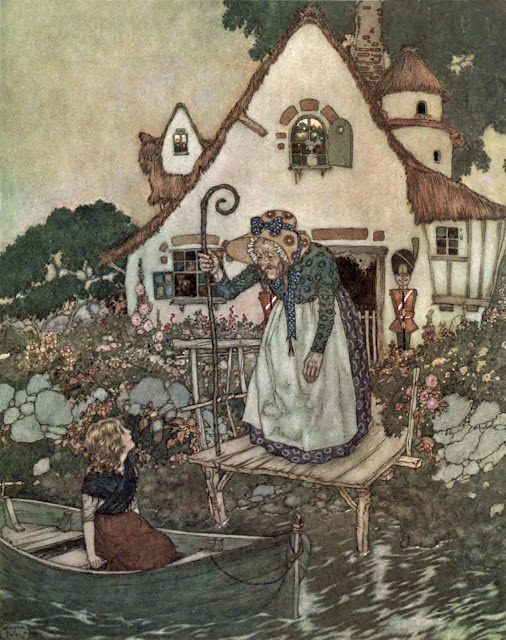 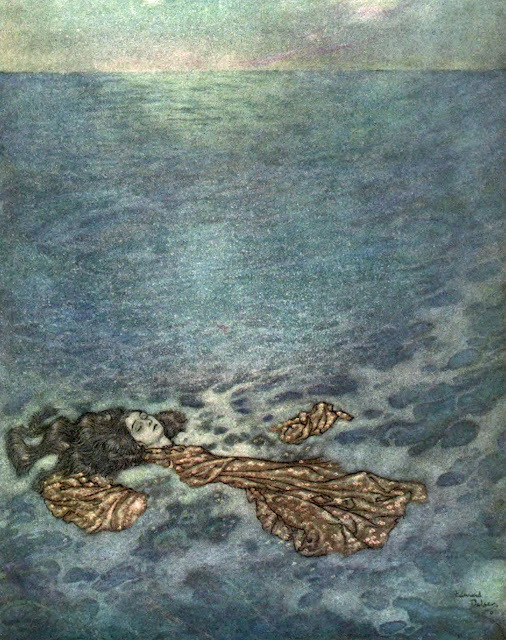 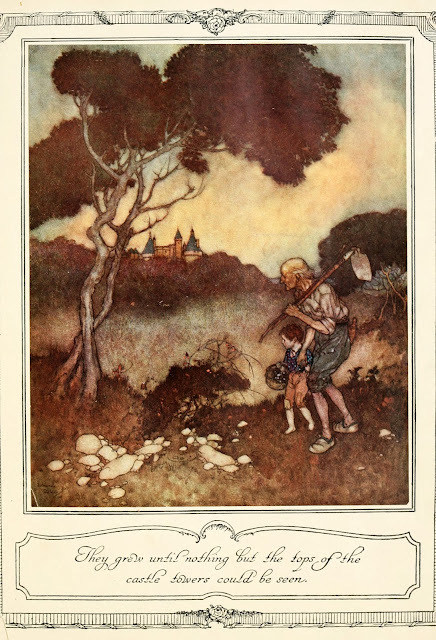 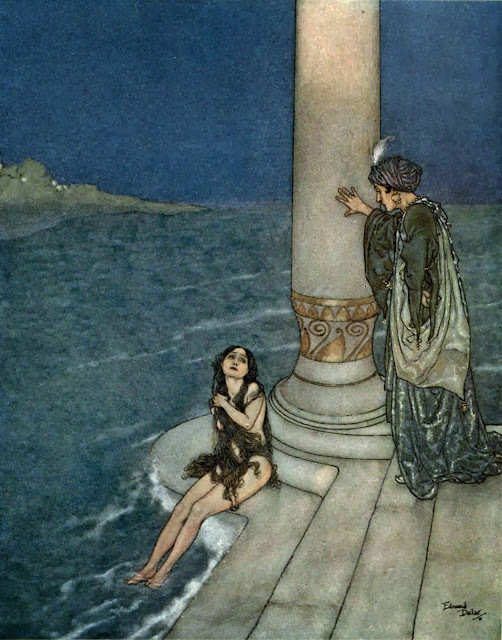 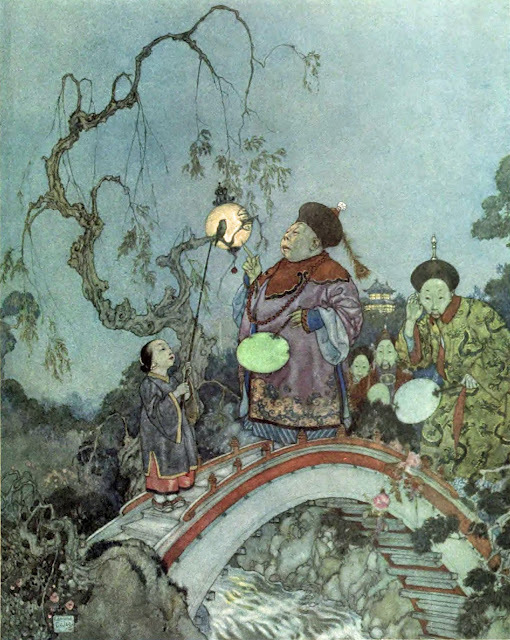 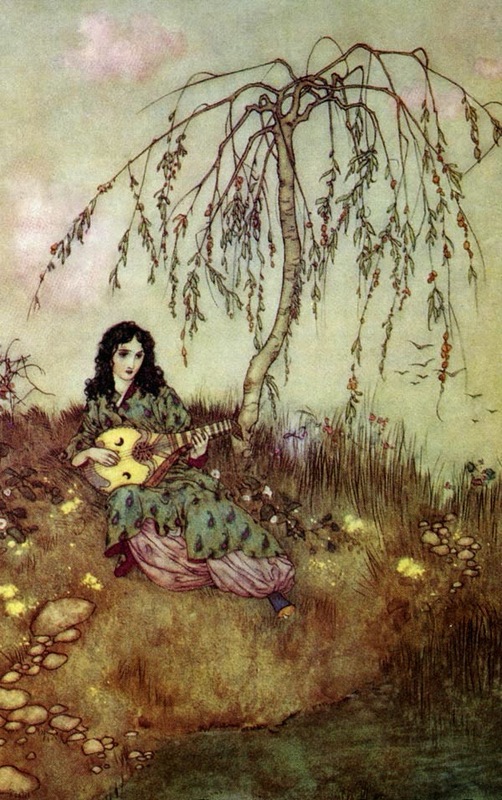 Edmund Dulac (1882 – 1953) was a French magazine illustrator, book illustrator and stamp designer. 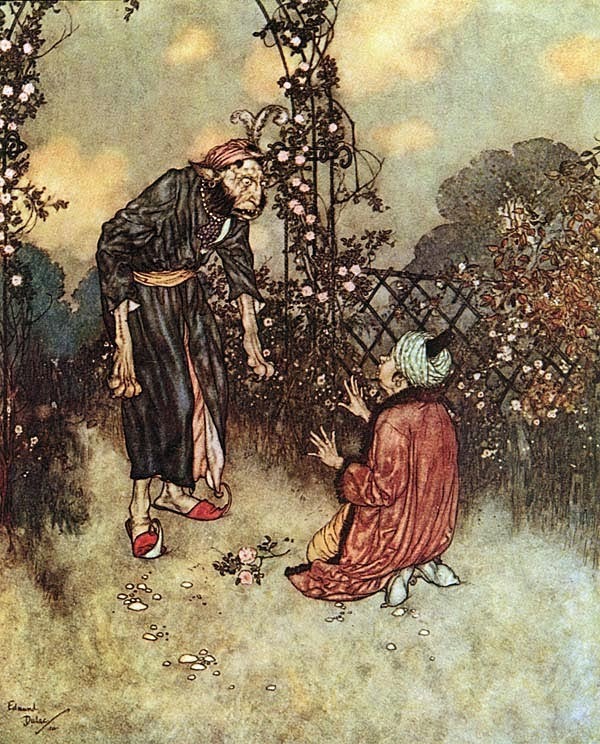 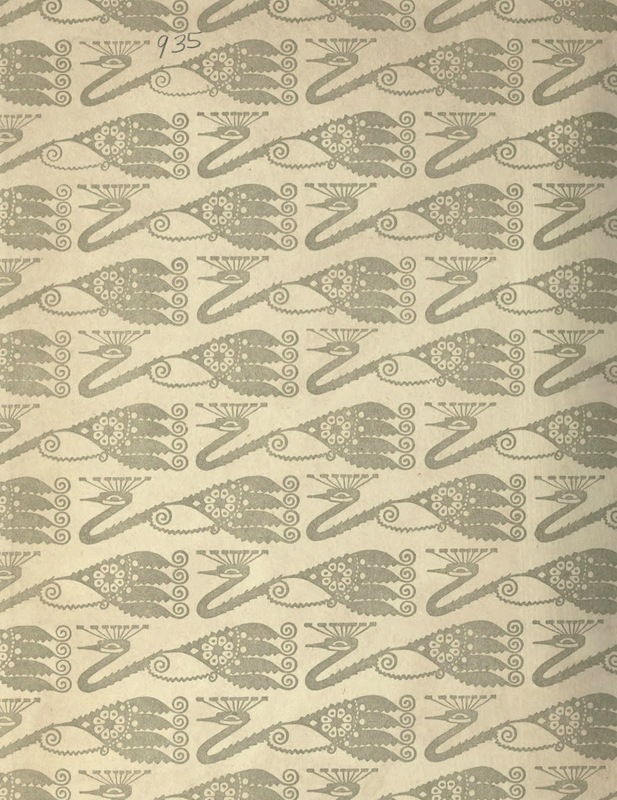 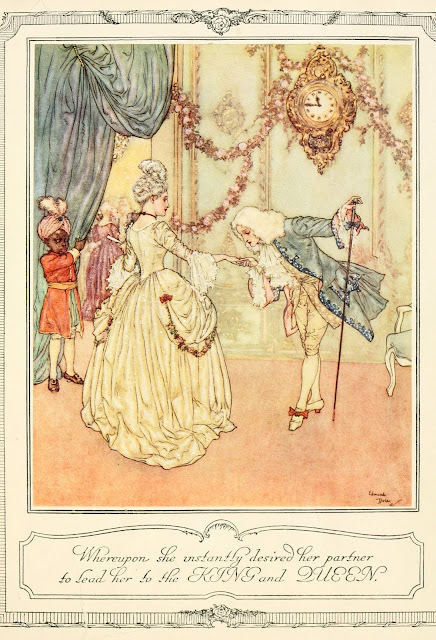 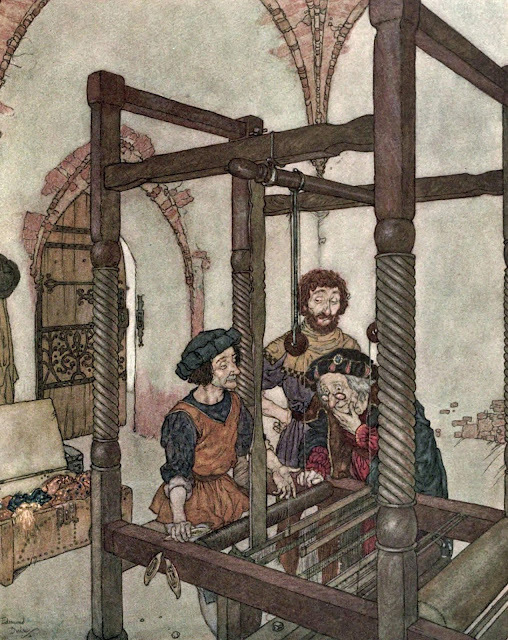 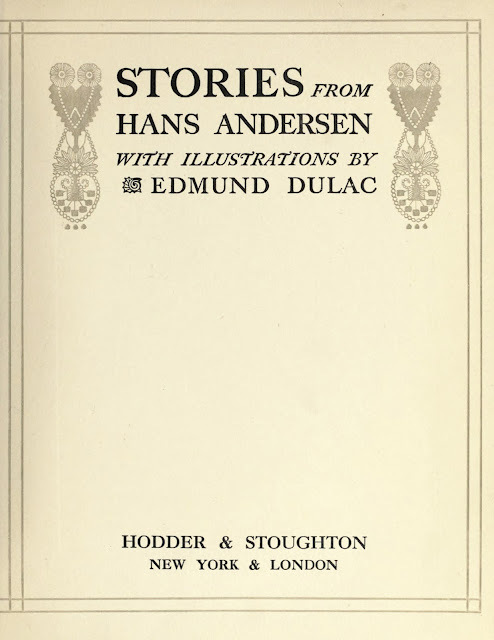 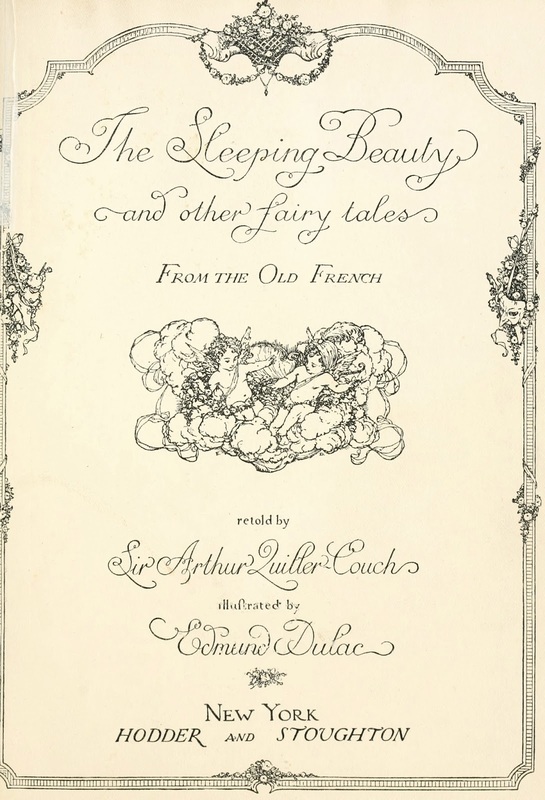 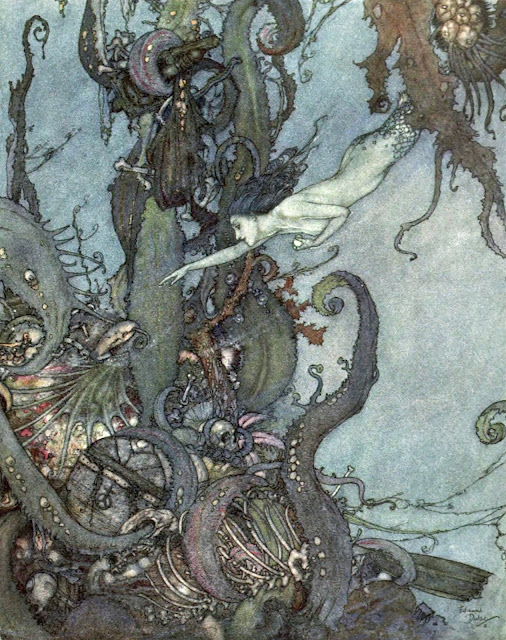 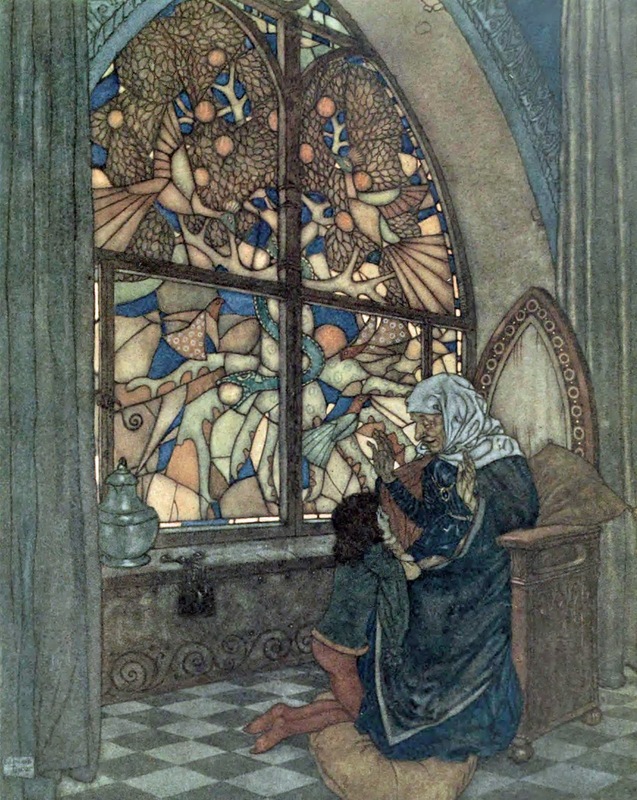 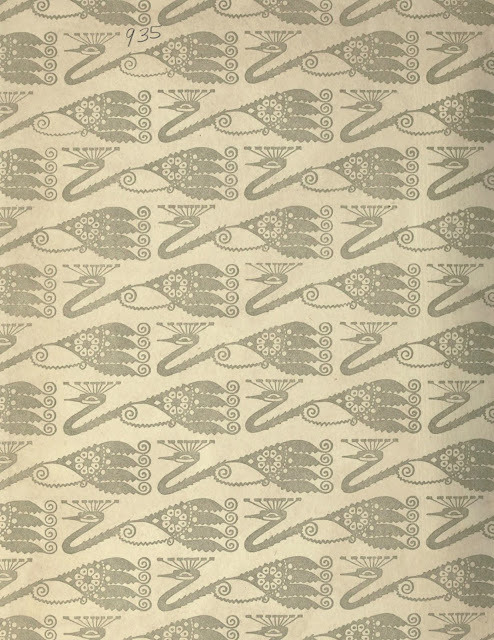 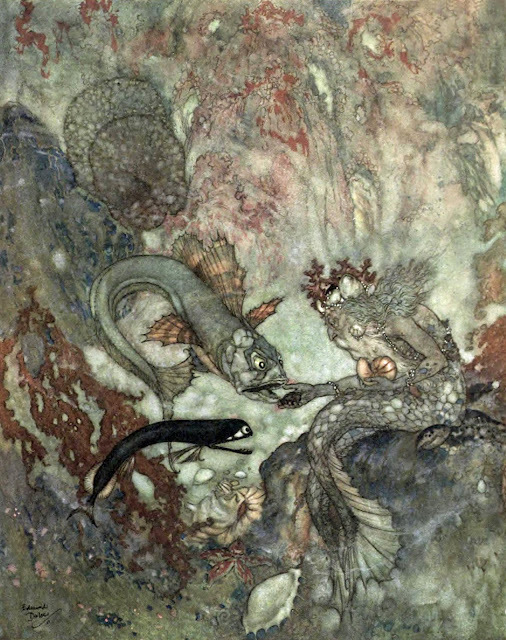 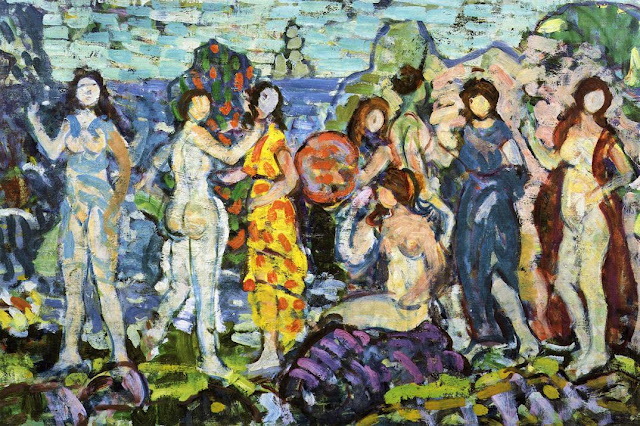 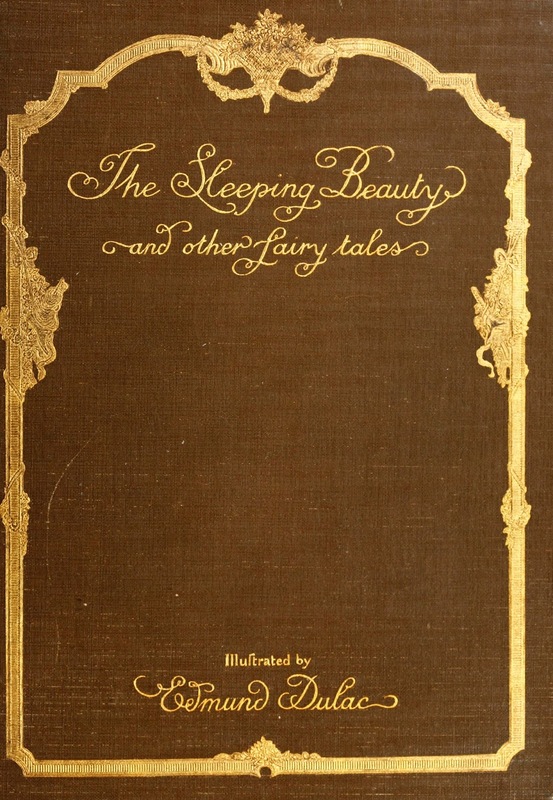 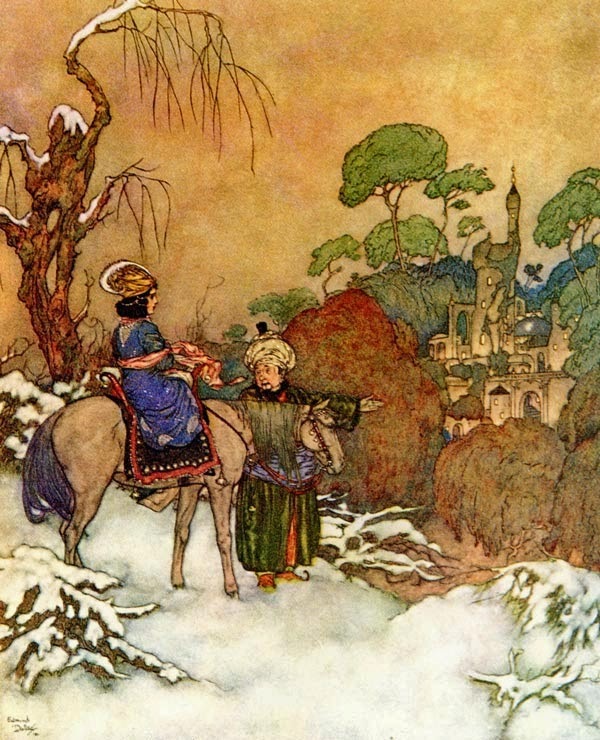 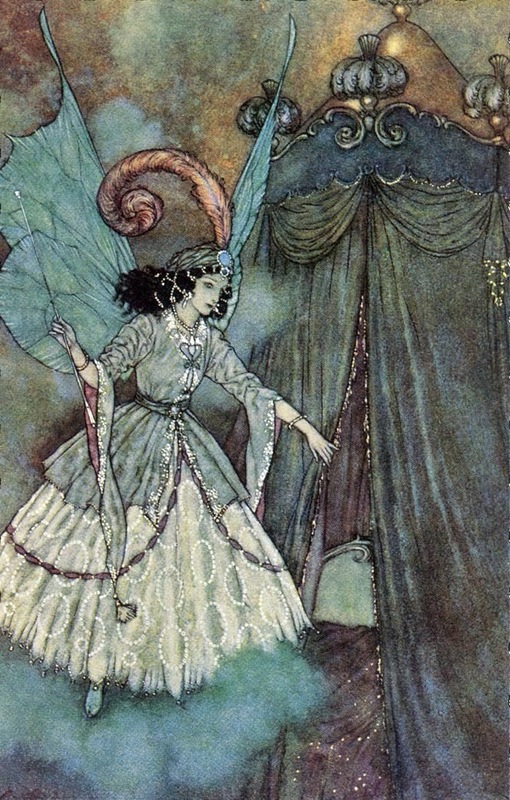 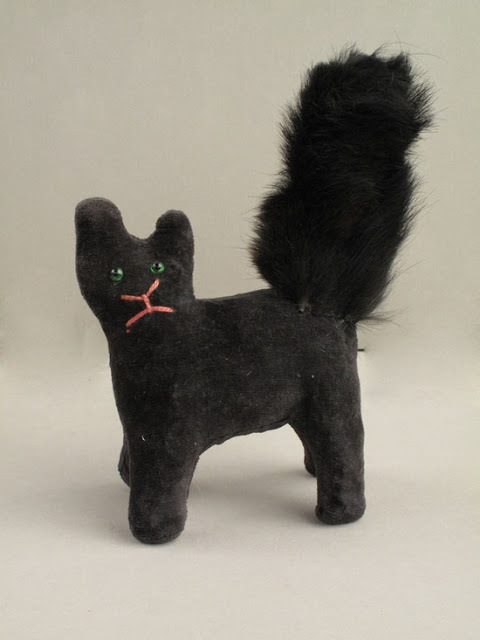 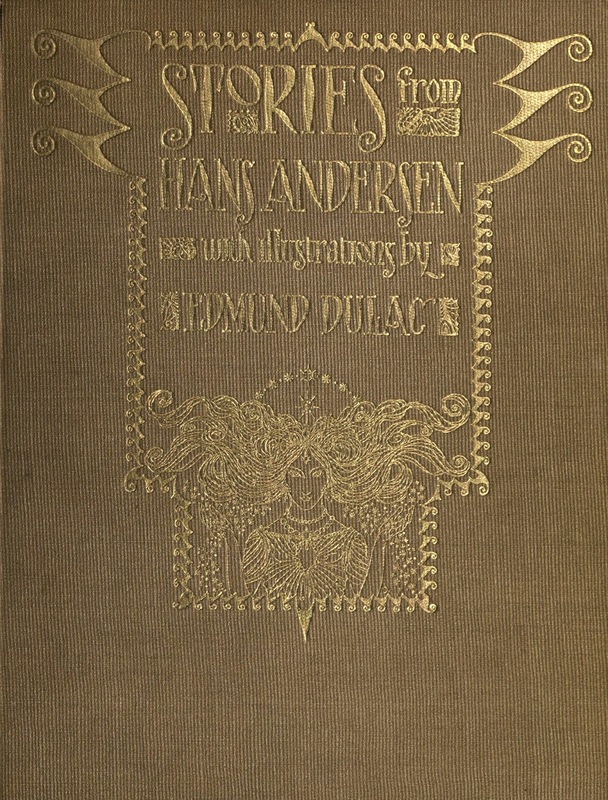 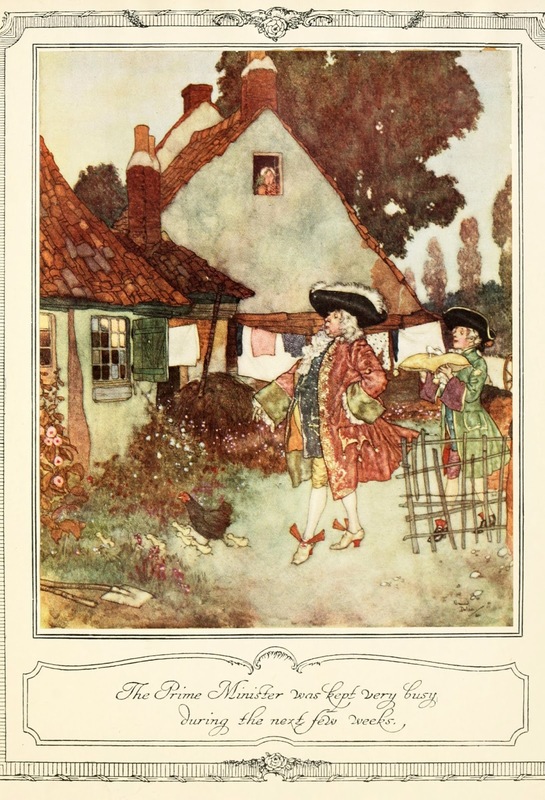 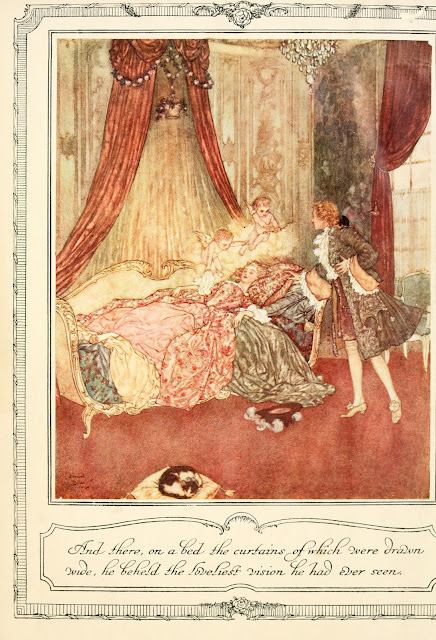 For full biographical notes on Dulac see part 1. For earlier works see parts 1 - 2 also. And there on a bed the curtains of which were drawn aside, he beheld the loveliest vision he had ever seen. The grew until nothing but the tops of the castle towers could be seen. 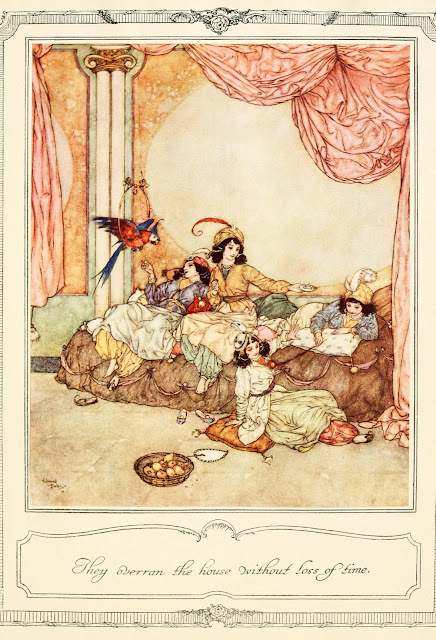 They overran the house without loss of time. 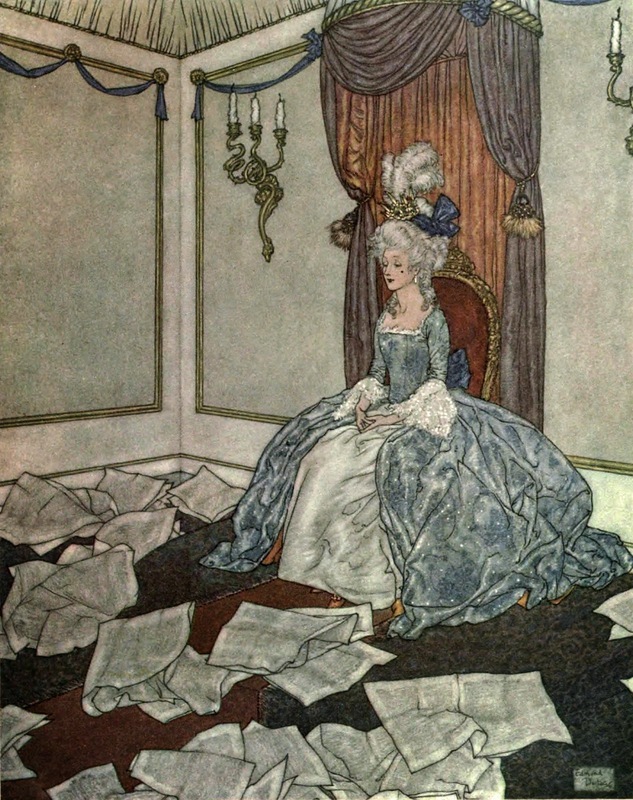 Then BLUE BEARD roared out so terribly that he made the whole house tremble. 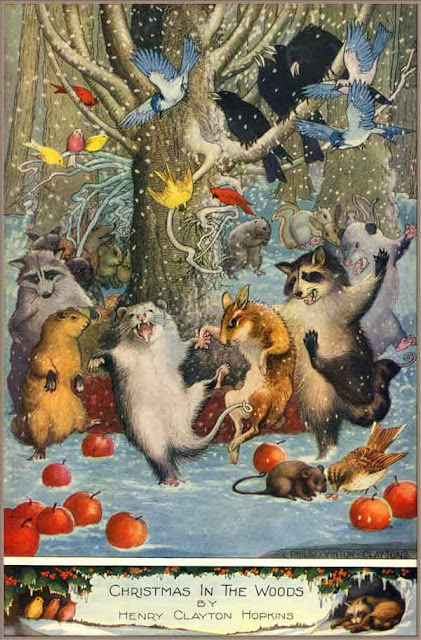 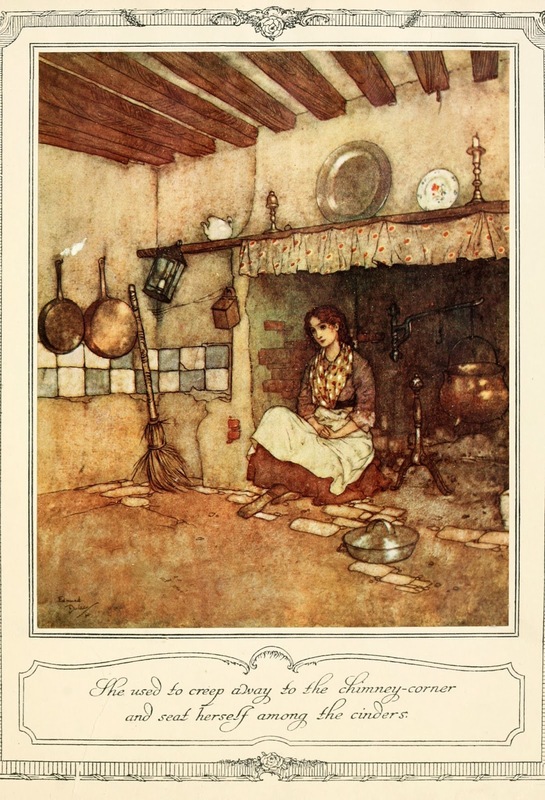 She used to creep away to the chimney-corner and seat herself among the cinders. Whereupon she instantly desired her partner to lead her to the KING and QUEEN. The Prime Minister was kept very busy during the next few weeks. 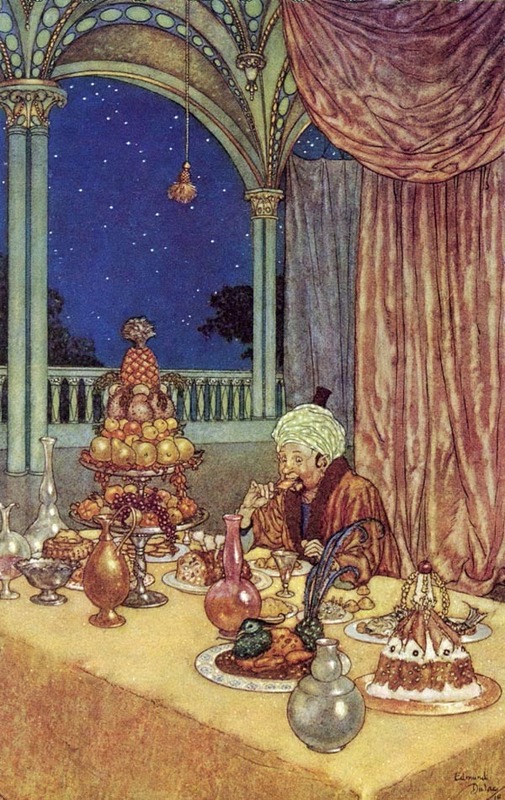 He had been fasting for more than twenty-four hours, and lost no time in falling to. 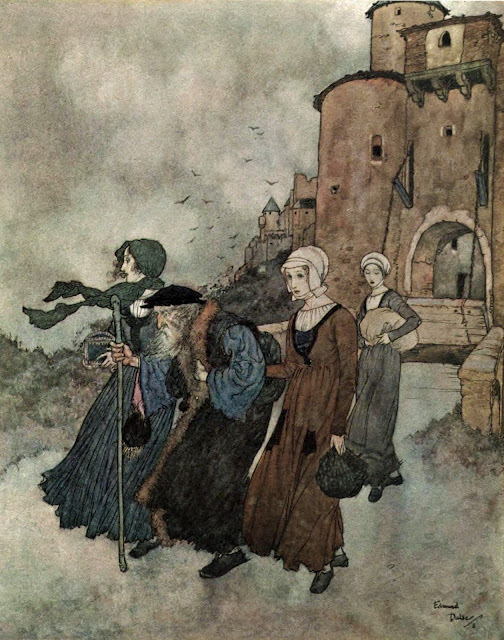 Soon they caught site of the castle in the distance.